Over the past month the team at Redpath Construction have been gathering pre-loved toys to donate to two local children’s groups. 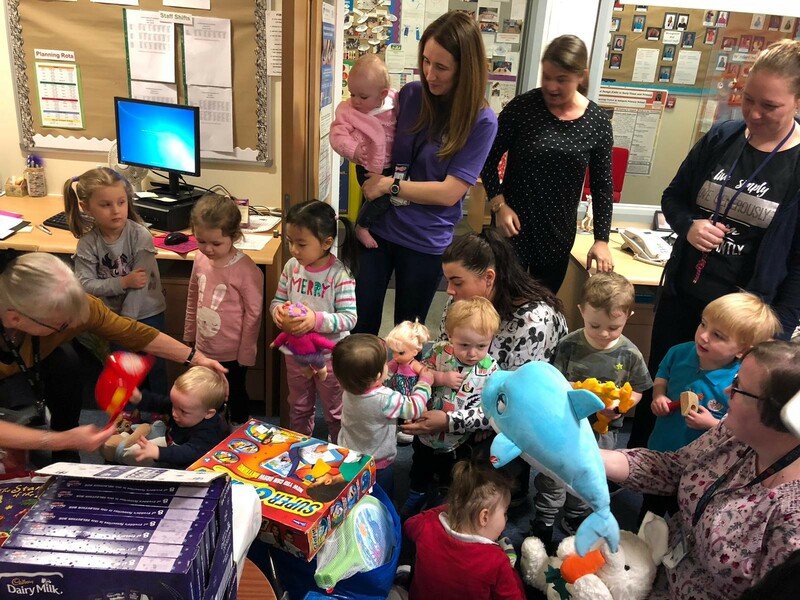 The Jimmy Dunnachie Family Learning Centre and the Carnwadric baby and toddler group in Kennishead support local families, many of which face extreme poverty which is particularly difficult at Christmas. Most of the toys will be used for play and learning at the centres with some being re-gifted to children who would otherwise not receive Christmas presents this year. The toys were received by inquisitive and excited little faces, with claims being made for Buzz Lightyear, Pop up Pirate and the fireman’s helmet in particular.